I know about Qatar because a lot of my friends from the US fly the airline to get a connection straight into Kerala. This was a reaction. 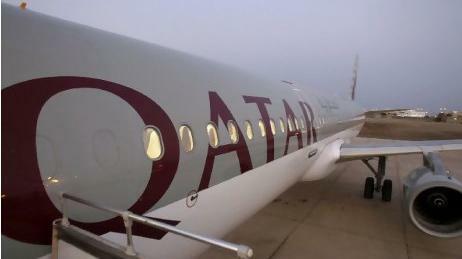 Qatar Airways would do well to take another look at coach class. I greeted the news that Qatar Airways plans to reverse course and include first-class cabins on new superjumbos with mixed feelings. On one hand, I can hardly afford Qatar’s first-class fares on my journalist’s salary. Yet, on the other hand, I am a major proponent of the move to bring the glamour back into flying, particularly at a time when invasive searches at airline terminals are becoming more common. It’s all very well to make flying into a first-class experience, but I have a question for Qatar’s executives: what about us poor passengers in coach? Wouldn’t it be nice if Qatar or some enterprising airline revamped its thinking about those of us in the back of the bus? This is not hard to do. A few small things will help. Smell, for instance. Walk into the coach-class cabin of any airline, whether Lufthansa or Air India, and you are greeted with an unmistakable yet unnameable odour. It is a combination of shoe polish, congealed food and stale sweat. As my teenage daughter says, “Coach cabins are the one place in the world where the bathrooms smell better than the rooms.” I think it is because airlines install industrial strength odour removers in the tiny coach bathrooms but don’t think it necessary to do so in the cabins. If I were Qatar Airways, I would begin by installing the same strong odour-removers in the coach cabins. Something emitting a pleasing aroma would be welcome; which brings me to my next point. One of the things that arouses first-class envy among us at the back of the bus are those airline pouches with cosmetic freebies. I would feel a lot better about flying coach if as I went towards my seat I saw a gaily-coloured pouch filled with bite-sized goodies. The airline could make this a corporate social responsibility exercise and buy low-cost cosmetics made by underprivileged women. Qatar could make it a branding exercise and supply native cosmetics used by Arab women for centuries, items such as kohl or rose water, things that are not very expensive but make a woman feel good. Cloth pouches are not that expensive either. Even I could source them for the airline for about a dirham each. But the appeal of such a perk to us coach-flyers would be priceless. It is not just about perks; it’s also about basics. In India, IndiGo is a low-cost airline that is gaining fans because of a simple feature of its service. The airline always leaves on time and arrives on time. You’d think that such a thing should be the norm for every airline, but it is not. Jet Airways offers a full-service experience, even in coach: smart uniforms, professional staff, courteous flight attendants, the works. The problem with Jet is that it takes twice as long to load people into the aircraft as IndiGo. Staff members mill around, carrying bags, passengers bunch up at the entrance, and while ground personnel are solicitous, they also slow things down. Not so with IndiGo. Quietly and without fuss, the staff get us all into the aircraft. Frequent flyers on expense accounts, people such as my husband, nowadays choose IndiGo over Jet because they are assured of “getting to Delhi for the meeting, even when there is a fog, which cannot be said of any other airline”, as my husband says. As a foodie, I’ll be the first to admit that airline food isn’t appealing. But here’s a radical thought. How about making coach-class food a buffet instead of a la carte? In other words, how about having us passengers get up and walk to the staff cabin and pick up our trays instead of having to wait like schoolchildren for our food to be handed to us. Before you protest that chaos will ensue, let me add the caveats. Obviously, this won’t work all the time, and you’d have to set limits about passengers moving around only after reaching cruising altitude. But the point is that most people like choice, and by serving us food on their schedule instead of ours, airlines make the dining experience more like grade school. Some airline will have to come up with a ground-breaking approach towards in-flight meals – as different from the norm as Southwest Airlines’ humorous flight announcements are from the more staid ones. I have high hopes for Qatar. I just don’t want to pin it all on their first-class experience. Being a relatively new airline, it should have the nimbleness to change its ways in mid-air. Shoba Narayan is a journalist based in Bangalore and the author of Monsoon Diary. MImW9a AFAIC that’s the best ansewr so far!